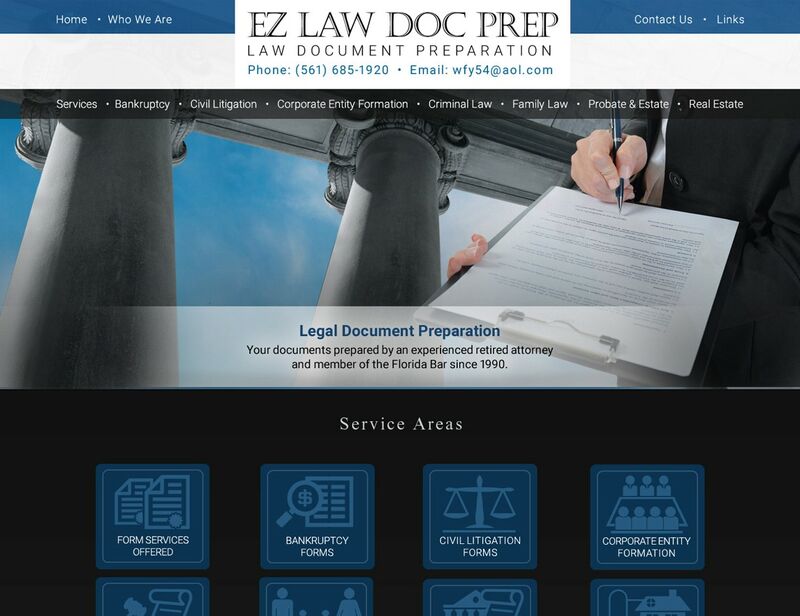 EZ Law Document Preparation asked VISIONEFX to redesign their legal services website. Legal service business owners require a professional level website design. This recent design provides a competitive branded website presence in a competitive legal space. VISIONEFX developed a cutting edge professional legal look using custom graphics. VISIONEFX also uses optimal SEO interior website coding. This involves careful application of text content, photography and consistent call-to-action contact boxes. The website target legal document services in the state of Florida. Search Legal Web Design Services for web designers at VISIONEFX. We are SEO experts at Breaking Google Barriers! VISIONEFX, provides legal web design services to businesses throughout the United States. • Web maintenance and website repair. Call: (757) 619-6456 or email info@visionefx.net. We have top Google Reviews posted on Google My Business page.